The cultural and artistic significance of The Royal Opera House cannot be overstated. 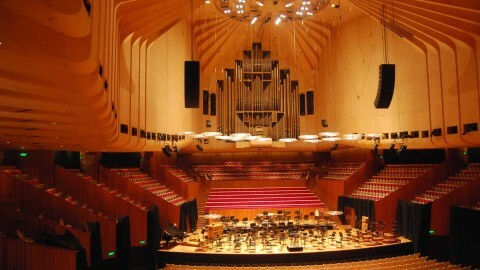 It is indisputably the most important opera house in Britain, and holds a pinnacle position among opera houses globally. From its stage, two world-class companies — the Royal Opera, which is currently under the direction of leading opera director Antonio Pappano, and the Royal Ballet — have been captivating audiences for decades, and still do today. As audience members arrive to a performance, the Bow Street facade — a pillared Corinthian portico — towers over them, as it has done since Edward M Barry designed it in 1856. 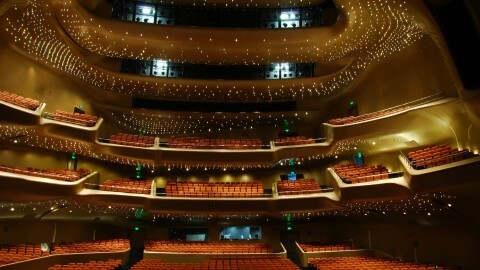 As soon as the audience enters the auditorium, which is made distinct by the signature three-tiered horseshoe balconies, they take their first step towards furthering a hallowed legacy. It is one that began long ago, with the original opera house being constructed in 1732. Even at that early time, the Royal Opera House has been located in the buzzing, pulsating Covent Garden district, and for this reason is often referred to simply as ‘Covent Garden.’ In that first era, George Handel wrote operas specifically for this stage, until his death in 1759. After two terrible fires destroyed the opera house in the 19th century, a third was constructed in 1857. Built in a neoclassical style, this opera house has a rich history of its own, and was even used as a dance hall during the Second World War. This opera house is the one that still stands today, and with a seat capacity of 2,256, has hosted opera legends like Placido Domingo, Luciano Pavarotti, Anna Netrebko, Renee Fleming, Jonas Kaufmann and Juan Diego Florez. 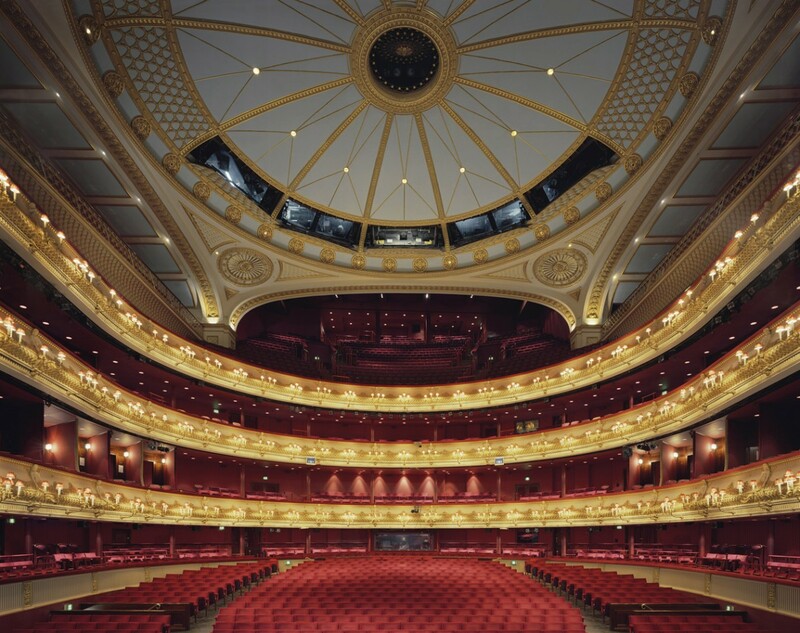 Despite its age, the Royal Opera House has catapulted itself into the modern era. In the 1990s it underwent significant modernizations, and today is equipped with new facilities, sign-language services, amplified headsets for the hard of hearing, wheelchair-accessible seats, and detailed audio descriptions. It has also solidified its status as a modern cultural icon, being featured in the concert scene in The Fifth Element (1997) and is the current location of the British Academy Film Awards, and the Laurence Olivier Film Awards. At the Royal Opera House, the past and present are gracefully linked, ensuring many artistically-powerful years to come. The restaurants and bars associated with the opera house open ninety minutes before the performances commence. This allows one the perfect amount of time to eat and do some pre-performance snacking. The Ivy is a splendid place for a pre-dinner meal. Enjoy its art-deco interior, and keep an eye out for a celebrity. For a lighter affair, the Covent Garden Kitchen offers simple dishes and light snacks. Outdoor seating is replete with heaters to fight off the chilly London air. For those with the time to dine outside of Covent Garden, in a different neighborhood of London, Kensington’s Ffiona’s is one of the best, discreet, and coziest spots in London. The chicken kiev is the best in the city. One should take advantage of the rooftop terrace, which offers splendid views of London. There is a free cloakroom. It is advisable to use it, as there is little leg room in the seats. Drinks, meals and light sandwiches can be pre-ordered so they are ready and waiting during the break. This is great way to avoid the long queues. In the summertime the opera house can become hot, and in the winter it can be a bit cold, so one might consider dressing with that in mind. A smart way to beat the queues is to arrive to the opera house an hour before the show. If a performance sells out, check out for returned tickets using internet booking. Standing-room only tickets are very affordable, but must be booked well in advance. Half-price standby tickets may become available a few hours before the show. During the summer season, performances at the Royal Opera House are broadcast on massive screens in London’s parks. 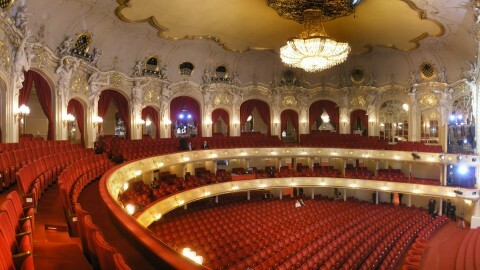 The opera house offers behind-the-scenes, backstage tours to give audiences an inside look. ‘Friends of Covent Garden’ membership offers many perks, including discounts and tickets to rehearsals.